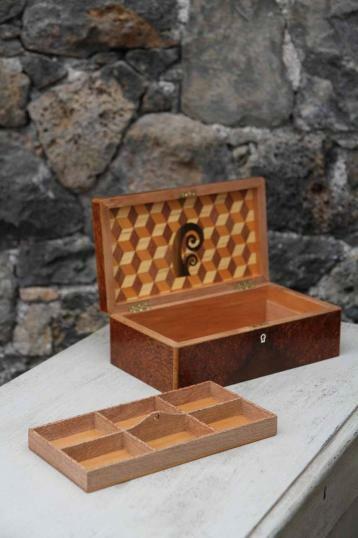 top , surrounded by New Zealand mahogany stripe and cross beaded in Puriri and New Zealand honeysuckle edge is one of the nicest ever. 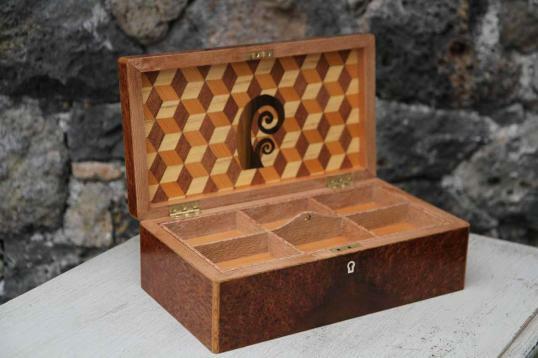 The inside is a cube pattern of Rimu with a Koru of Honeysuckle, Kauri and Rimu. If you are interested in this piece or would like more details please call us on +64 9 529 1660 or email info@js.co.nz quoting #11-18.